Israel's Netanyahu: Taking a Turn Toward Pragmatism? President Barack Obama welcomes Prime Minister Benjamin Netanyahu to the White House on Monday, at a moment when the White House and the Israeli leadership are undeniably at odds over the path to Middle East peace. While the Obama Administration remains steadfastly committed to Israel's security, its ideas on how to achieve that security differ markedly from those of the hawkish Netanyahu government. As Obama moves to revive the stalled Middle East peace process, Monday's meeting has been widely predicted to be a tense affair, but that may be overstating the drama. 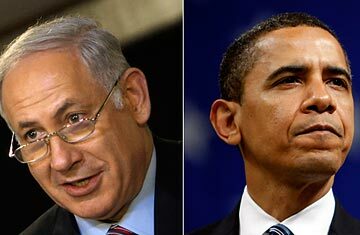 Netanyahu, like any Israeli Prime Minister, has an overwhelming incentive to get along with Israel's single most important ally; Obama, for his part, needs to fashion a peace process that produces results, for which he requires Netanyahu's cooperation. So Monday's encounter won't be a showdown as much as the opening exchange of a difficult conversation that could continue for months.